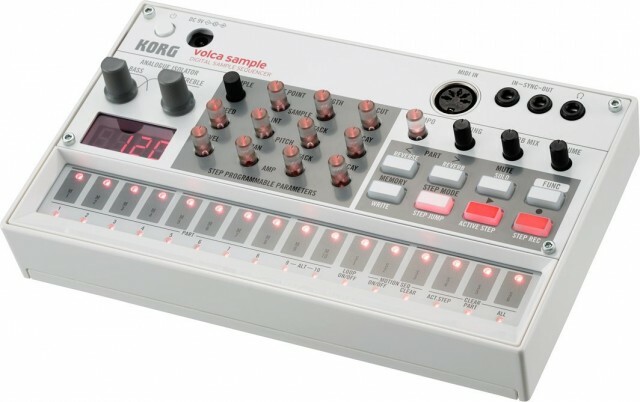 The KORG volca sample is here – and it’s more open than we thought. We’ve seen KORG’s affordable, compact, battery-powered volca formula applied to synths (BASS and KEYS) and a drum machine (BEATS). I’m especially partial to the booming kick of the BASS, the sound of the KEYS (which despite the name also works as a bass synth), and the clever touch sequencing interface. We’ll have a unit in to test soon, but my impression is that sample sequencing isn’t a bad thing at all. Sequencing has always been a strong suit for the volca, and here, it’s the main story. Every parameter of a sample is ready to step sequence, from the way the sample is sliced, to its playback speed and amplitude envelope, to pitch. “A frequency isolator, which has become a powerful tool in the creation of numerous electronic genres.” Or, um, to make that understandable, there are treble and bass analog filters. 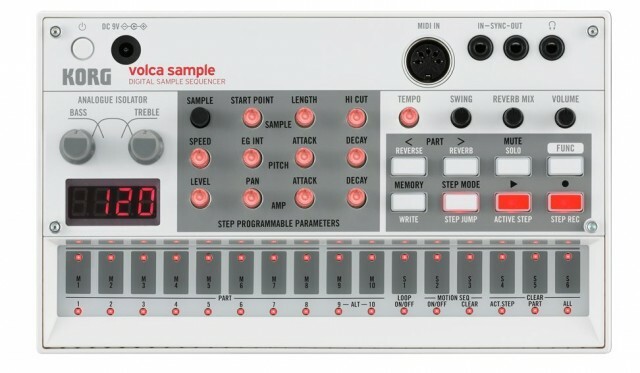 That leaves only how to get samples into the volca sample, beyond the 100 samples already built in. 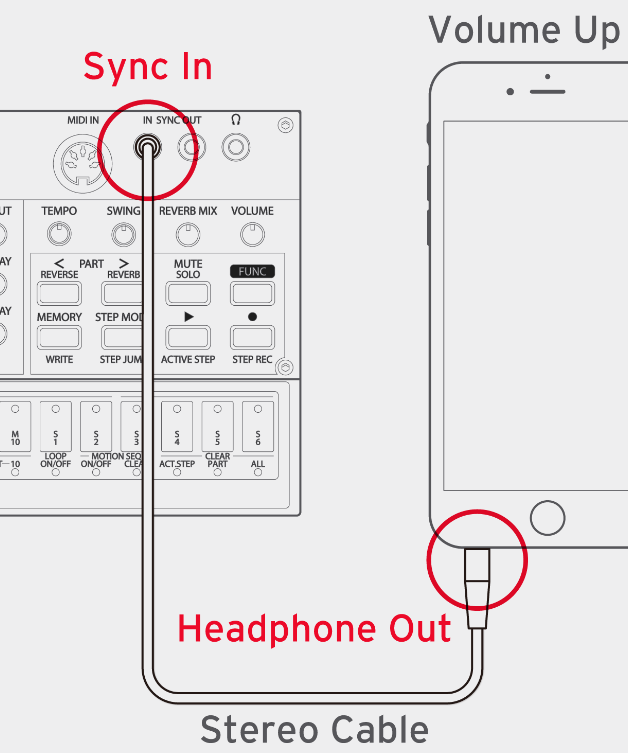 It has exactly the same complement of jacks on the top as the synth and drum machine volcas – sync signal in and out, MIDI in, headphone out, and … nothing else. 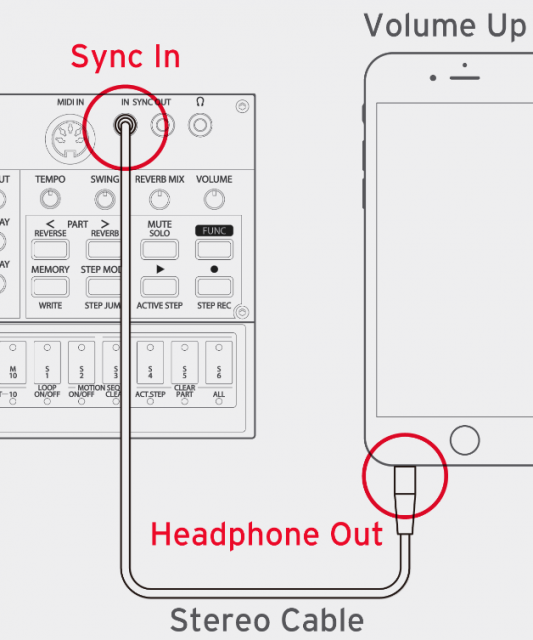 So, instead, KORG wants you to use an iOS handheld to record samples first. You transfer them into the unit via one of the sync jacks. Initially, that came as a bit of a shock, and judging by comments, at least some of you readers didn’t like the decision much. Frankly, looking at the unit, it looks like like there just wasn’t room; KORG dedicated the jacks to their usual function and used up the whole panel on sampling and sequencing controls. Since then, though, we’ve had two developments that might get your interest back. First, we’ve seen the iOS app, and it looks really cool. Brace yourself for cute video of designer Tatsuya Takahashi’s kid! Okay, so the transfer process is a bit of a pain, but cutting samples on the iPhone is convenient, since you can see what you’re doing. It also solves the problem of needing to have a mic handy. 1. You can encode audio samples to transfer – individually or as an entire 16-step sequence. 2. You can manage samples on the sample (delete them individually or delete all of them). “Auto-slice a song to generate a sample set? Turn photos of patterns into sequences? And, oh yeah, you could even make your own sampling hardware with the library, though… if you’re savvy enough to do that, you might just go ahead and make your own sampling hardware. The “syro” library, the bit that does the encoding. A project sample with examples, ready to build with gcc, clang, and Visual Studio 2010 or later. Factory preset / reset data. So, if someone wants to make a bare-bones sample project for the iOS SDK or Android SDK, for instance, let us know! volca sample is shipping it seems in small quantities, but isn’t yet widely available. Stay tuned. This is the heart of this beast – sequencing, sequencing, sequencing of … everything, actually, as the list below is identical to the list of sample parameters.